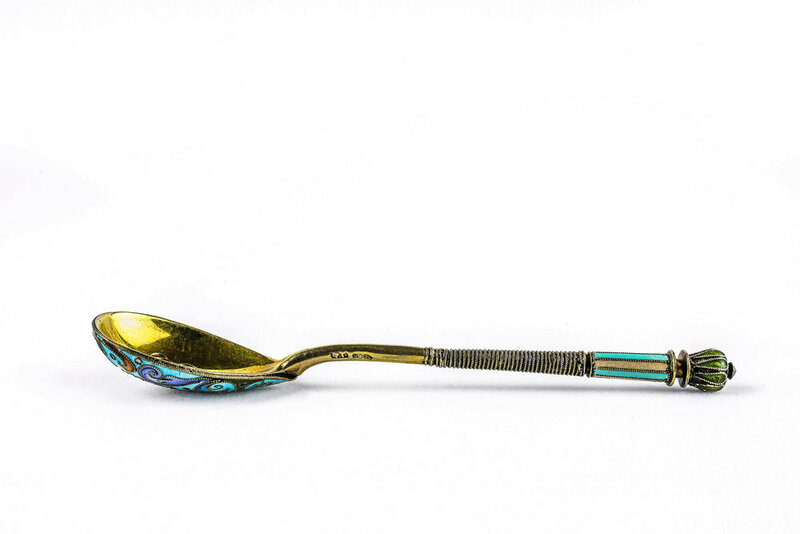 Antique Russian silver 84 cloisonne shaded enamel spoon by Feodor Ruckert. 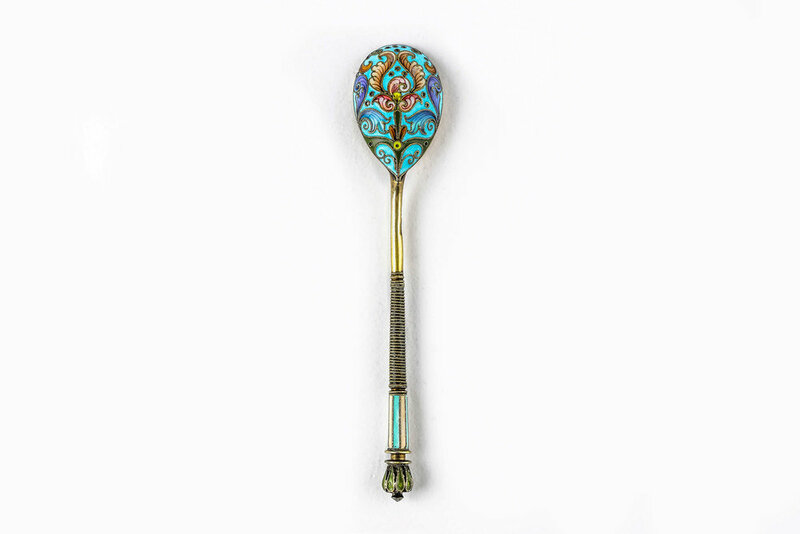 A beautiful antique Russian silver 84 cloisonne shaded enamel spoon by Feodor Ruckert. 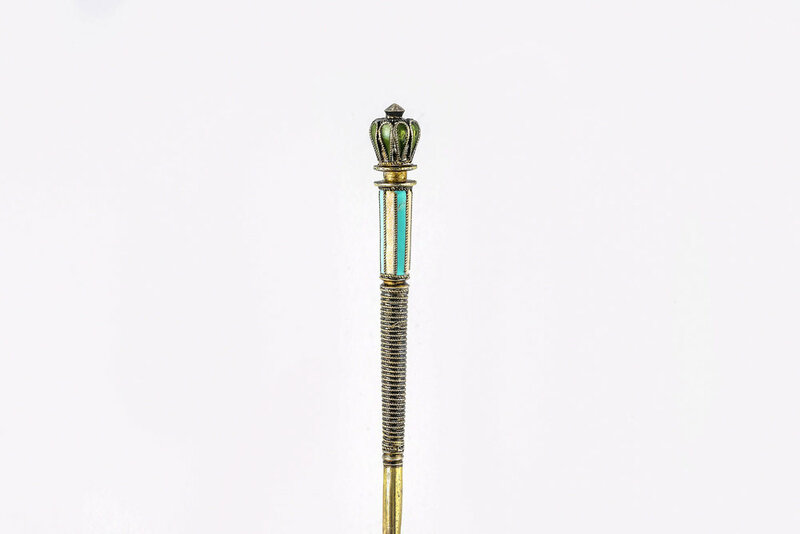 Length is 4.75 inches. 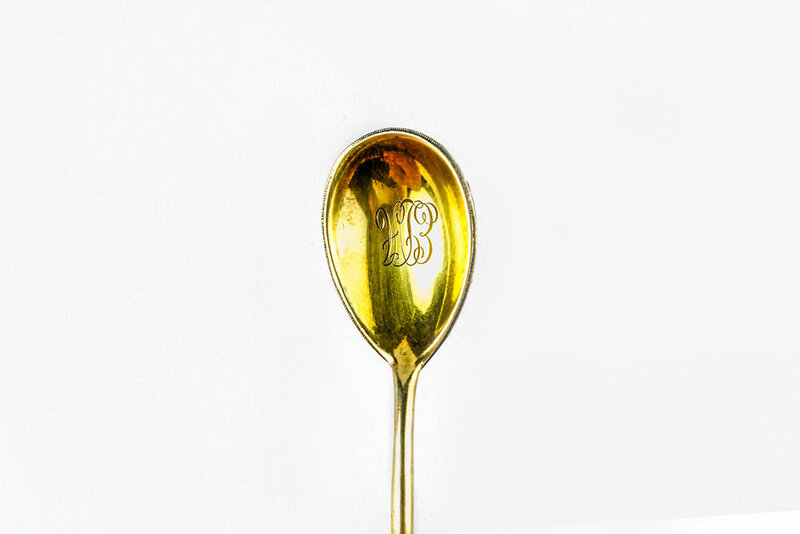 Weight is 25 grams.